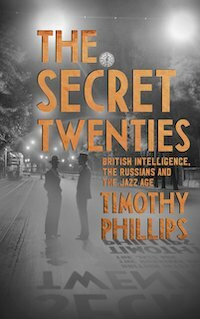 Timothy Phillips has written a gripping account of the secret war between the British intelligence services and the Bolsheviks during the 1920s. Based largely on documents he unearthed in the National Archives, this is a story about far Right politicians (including some open fascists) working hand in hand with security services to combat (with rather limited success) a sometimes-real and sometimes-imaginary “Red Menace”. The Zinoviev Letter, the one part of the story with which I was already familiar, gets good coverage, but it turns out to be only the proverbial tip of the iceberg.